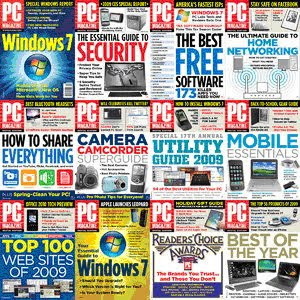 PC Magazine (sometimes referred to as PC Mag) is an online computer magazine that was published monthly in the United States both in print and online until January 2009. In November 2008 it was announced that the print edition of the magazine would be discontinued, but there would still be an online version. The magazine is published by Ziff Davis Publishing Holdings Inc. The first edition was released in January 1982 as a monthly called PC (the Magazine was not added to the logo until the first major redesign in January 1986). PC Magazine was created by David Bunnell and financed by Tony Gold, former owner of Lifeboat Associates. The magazine grew beyond the capital required to publish it, and to solve this problem, Tony Gold sold the magazine to Ziff-Davis and moved it to New York. David Bunnell and his staff left to form PC World magazine. PC Magazine moved to biweekly publication in 1983 after a single monthly issue swelled to more than 800 pages. As of early 2009, the magazine will exist only as an online publication.